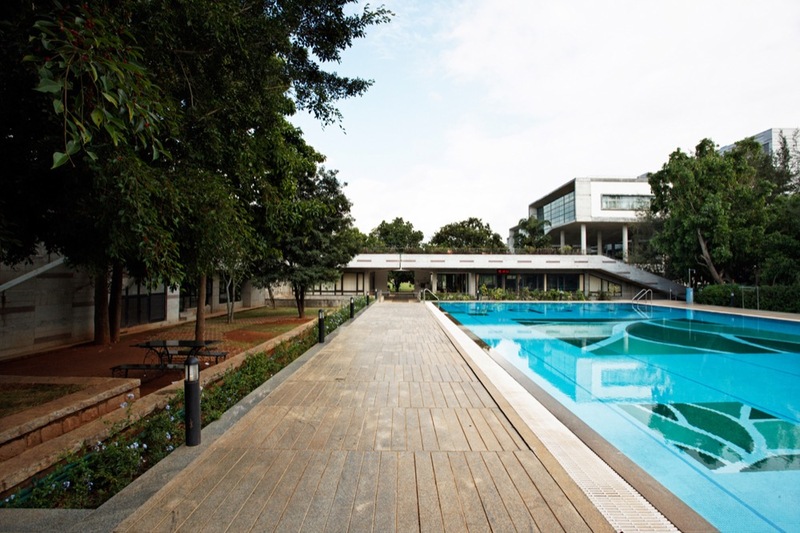 The National Centre for Biological Sciences (NCBS), located in Bangalore is a part of Tata Institute of Fundamental Research, under the Department of Atomic Energy. The institute’s research focus is the frontier areas of biology. Their research areas range from the study of single molecules to ecology and evolution. 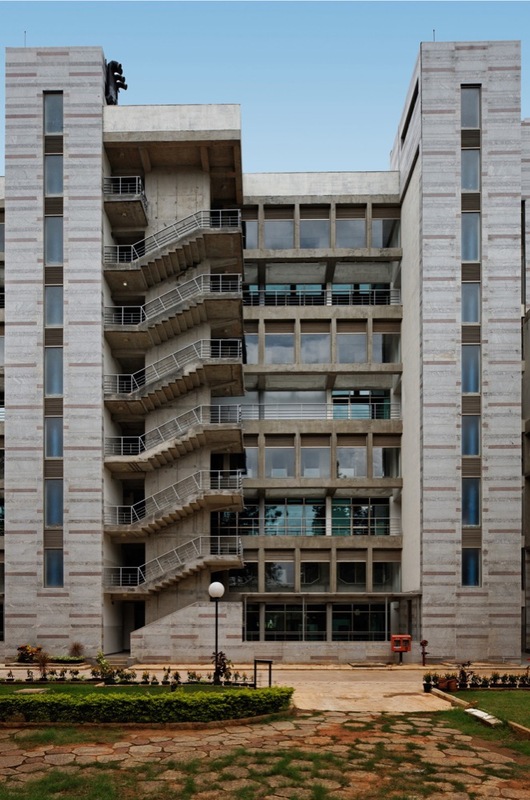 Along with inStem and C-CAMP they form the Bangalore Bio Cluster, bringing together fundamental research, translational studies and technology development. 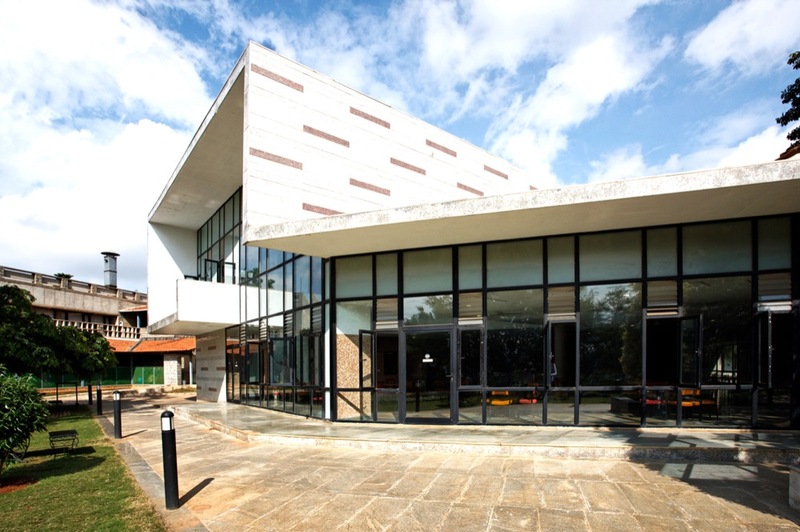 The NCBS campus is located in the Gandhi Krishi Vigyan Kendra (GKVK), on Bellary Road, in the north of Bangalore. The 20 acre campus with lush greenary has accommodation for students, visitors and faculty. 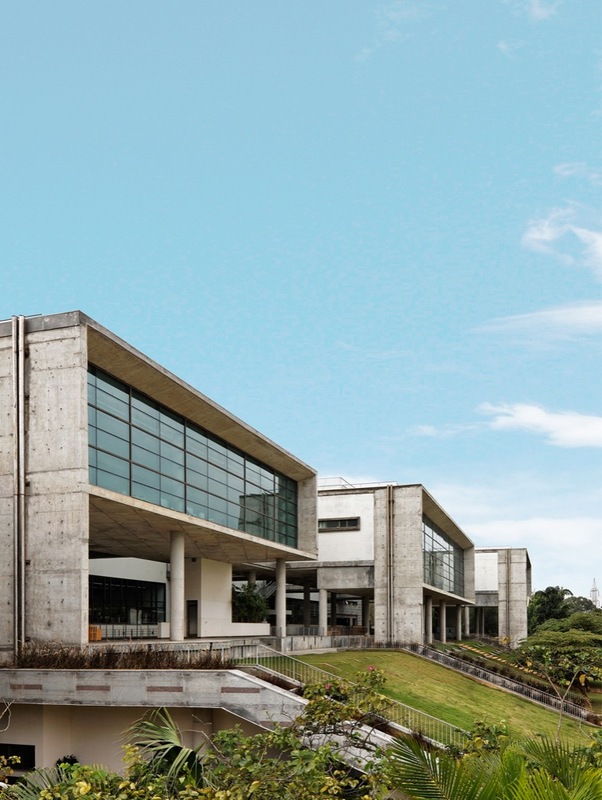 The existing buildings and master plan of the campus had been designed by architect Raj Rewal. An invited competition was held in 2006 for new developments on the campus. The competition brief proposed addition of New Laboratory complex along with recreation facilities for the academic community. The brief expected to achieve overall coherence and symbolic significance by creation of a synergetic relationship between old and new. Most importantly the brief stressed on the aspects of “flexibility” and “modularity” to evolve an appropriate typology of scientific building to adapt to the fast pace of change in research requirements. In addition the brief intended for creation of a “collaborative”, “open” and “transparent” research environment conducive for inter- action and dialogue amongst the research groups. 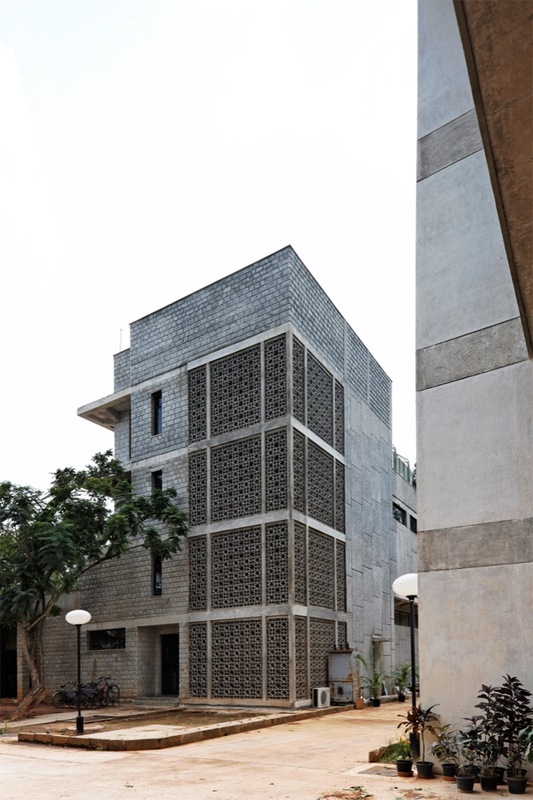 The new buildings were conceived as a bridge between the disparate components of the program i.e. the residential and the academic. 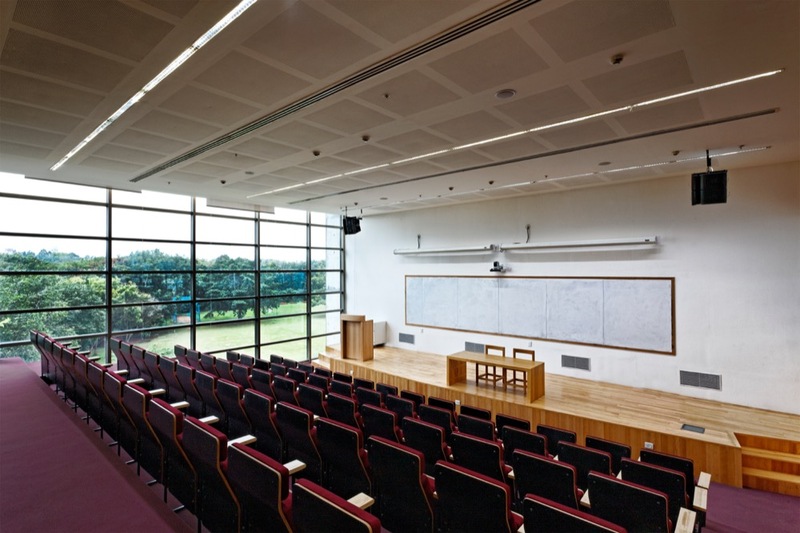 The built environment encourages a strong relationship between the central green by providing the metaphor of a lake or a water body where the buildings were envisioned as stepped ghats viewing the spectacle of natural landscape. The proposal celebrates and enhances the ‘maidan’ or the central green space as the focal space of the campus towards which all buildings and activities are oriented. New built mass was sited and organized to minimize disruption to existing system of built/open spaces and circulation networks. The Laboratory Complex was located on area with minimal trees and good connectivity to services infrastructure & vehicular access. This also ensured favorable N-S orientation of building facades. The Sports and community centre was located near the existing water body to further activate the area and provide conducive open space for informal activities. 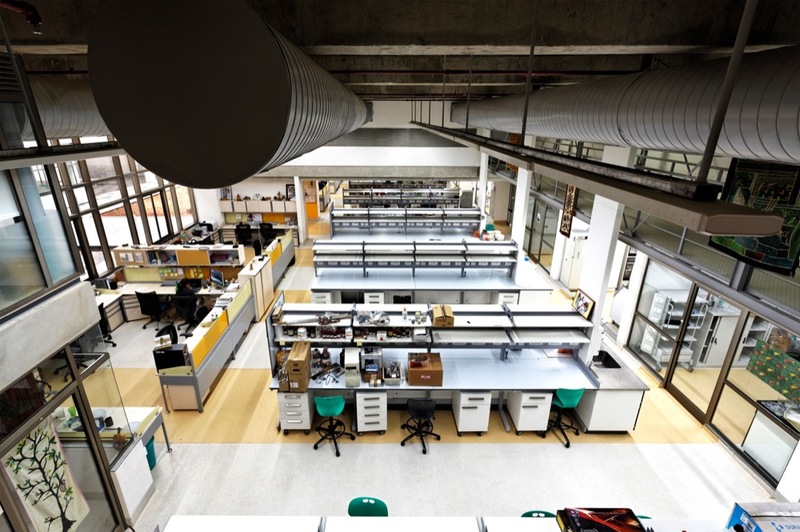 The laboratory building is organized such that shared resources/ interactive spaces are located on the northern side. Large deck for outdoor functions, food court, exhibitions and lectures is located under pilotis on first floor. This provides interaction opportunities so critical for the scientific endeavor. 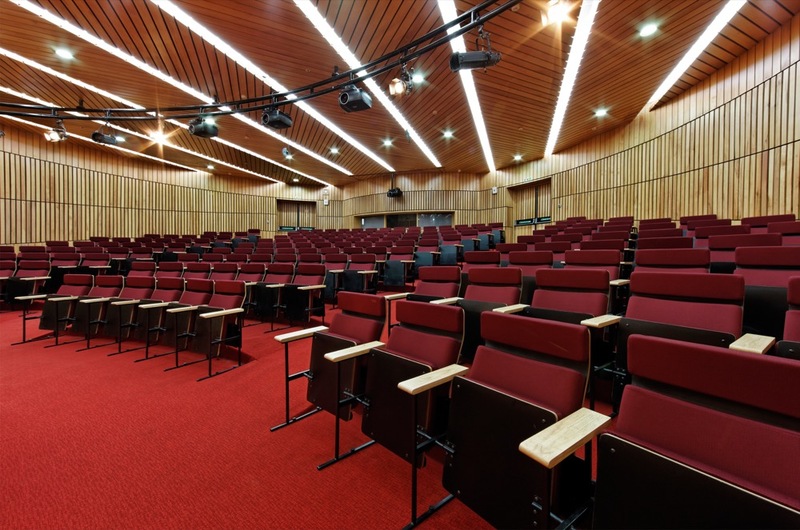 The ground Floor has the 200 Seater Lecture Theatre, Spectrometry facility while the second floor has Lecture theatres, Library and Faculty Lounge. In order to provide flexibility and modularity to the ever changing requirements of research interstitial service floors are provided in all labs where MEPF supply and return networks are provided. These services networks drop down from the service floor to the lab benches and equipment rooms through service risers. The service floors ensure that the laboratory spaces re- main functional and undisturbed. 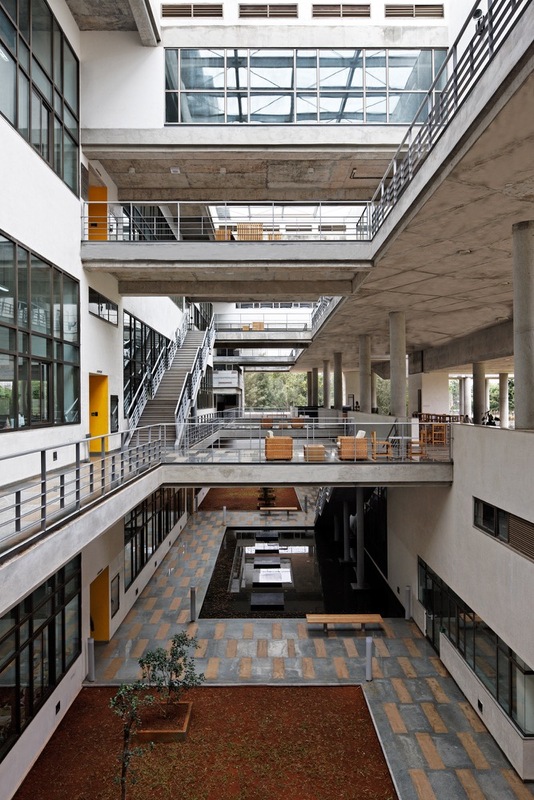 The principal investigator’s offices are suspended above the laboratories in the service floors giving the pIace a private space for focus and at the same time providing them unhindered vision of the activities of research occuring in the labs below. The basement of the building consists of the large animal house and its ancillary facilities, Central Imaging, Computational Cluster Facility and other utilities area.